"The fact that we already issued a diplomatic protest or note verbale is already a statement of the position of this government," presidential spokesperson Salvador Panelo said when asked about the report that the Chinese have been harvesting giant clams from Scarborough Shoal in the West Philippine Sea. MANILA, Philippines — China's continuous harvesting of giant clams in Scarborough or Panatag Shoal in the West Philippine Sea violate the country's sovereignty, Malacañang said Tuesday. ABS-CBN News earlier reported that Filipino fishermen from Masinloc, Zambales have been watching Chinese vessels extract giant clams in the traditional fishing ground for years. Chinese nationals reportedly come from wooden trollers that can lift small boats bearing the Chinese flag. Filipino fishermen also said Chinese Coast Guard speed boats have been driving away other fishing vessels from entering the shoal. "They are performing acts of ownership... If it's our territory, therefore, it is an affront to our territory and to our sovereignty," presidential spokesperson Salvador Panelo said in a press briefing. 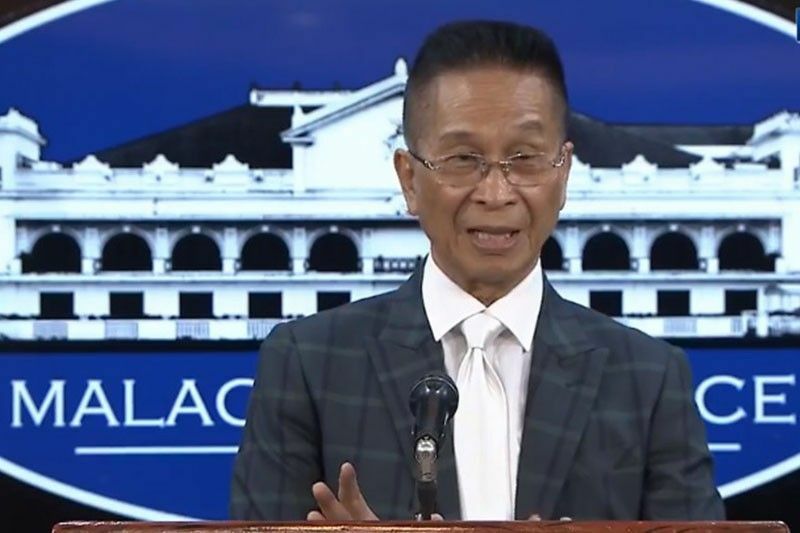 Panelo noted that while Beijing is consistent on its position that it owns the entire South China Sea, Manila would also be consistent in objecting to any intrusion into its territory. The Malacañang mouthpiece said he agrees with Foreign Affairs Secretary Teodoro Locsin Jr., who said he had filed a diplomatic protest over the matter. "We just caught them doing that recently, filed a diplomatic note, and will be taking legal action. With our legal department now," Locsin said on Twitter Tuesday morning. Earlier this month, Locsin said he had "fired off [a] salvo of diplomatic notes" over the presence of Chinese vessels near the vicinity of Pag-asa Island in the West Philippine Sea. I sent notes verbales versus swarming before my China trip. You have my word on it and that is all you all get. Manigas na kayo nag da doubt pa. The military said that hundreds of Chinese ships, believed to be part of China's maritime militia, may be monitoring the Philippine's rehabilitation efforts on Pag-asa Island. "I sent notes verbales versus swarming before my China trip. You have my word on it and that is all you all get," Locsin earlier said on Twitter. The Philippines' top diplomat, however, said the documents would not be made public.